No one does wash and fold like Perry Process. We sort and separate your clothes and make sure that the laundry is done according to fabrics and colors. 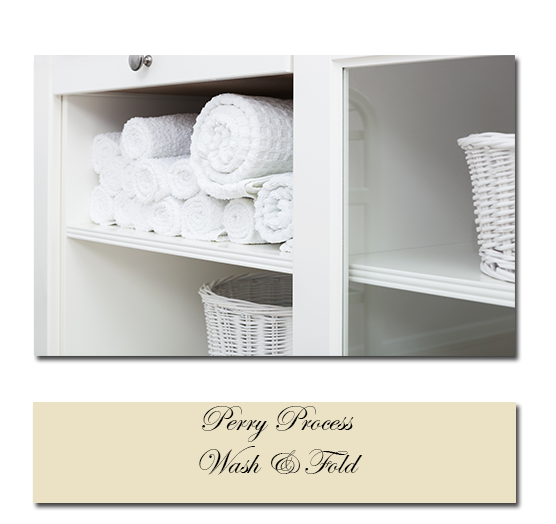 The Perry Process requires knowledgeable laundresses to process the items. Your items are inspected, separated and processed using a gentle process and are folded and returned to you so you can easily put away the laundry.